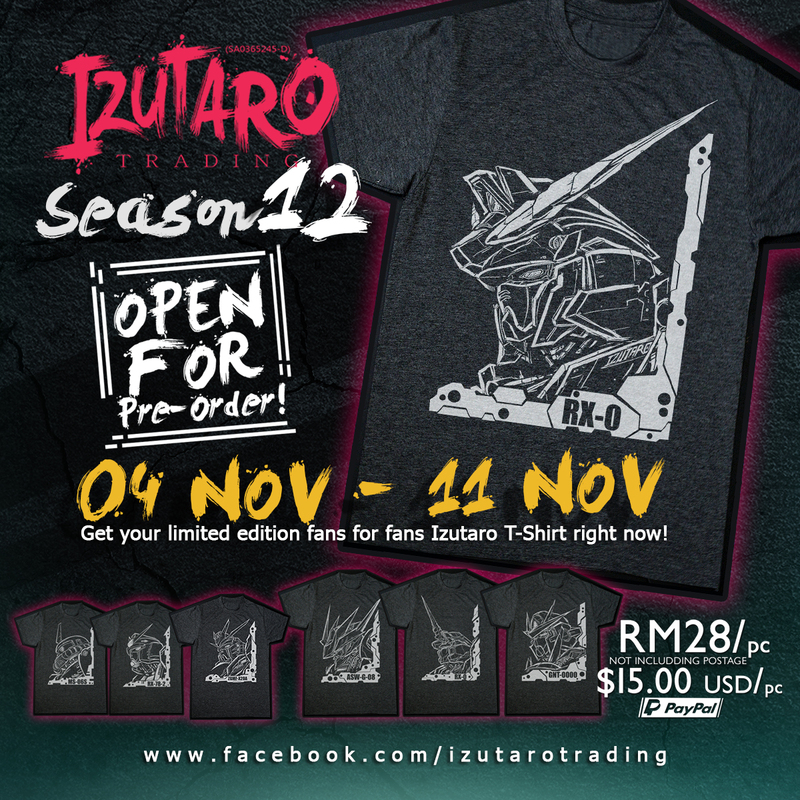 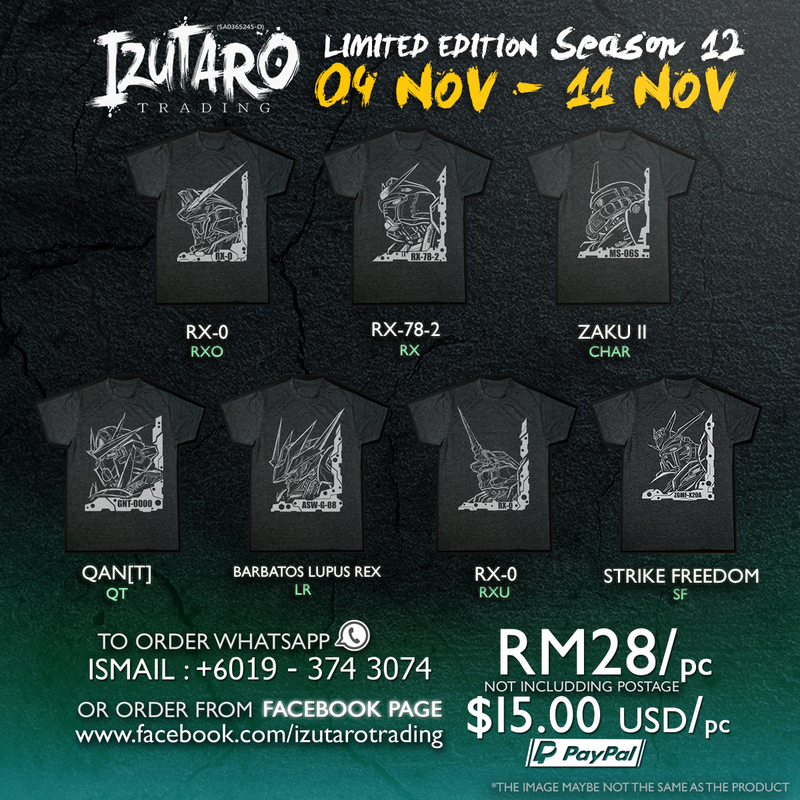 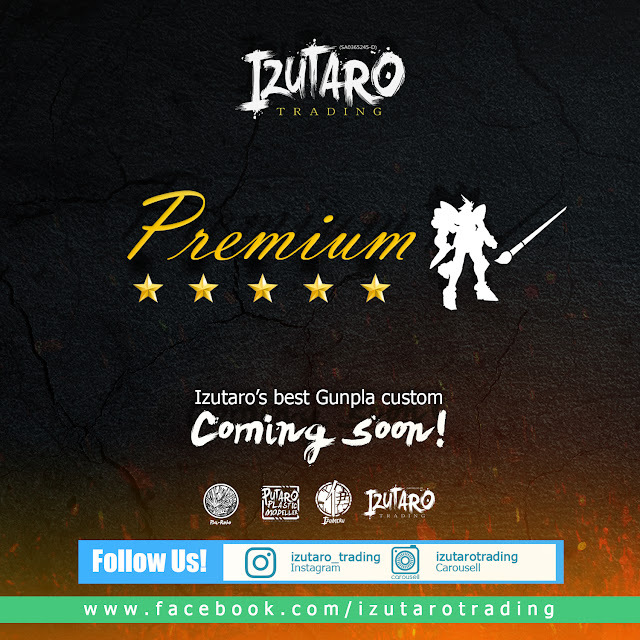 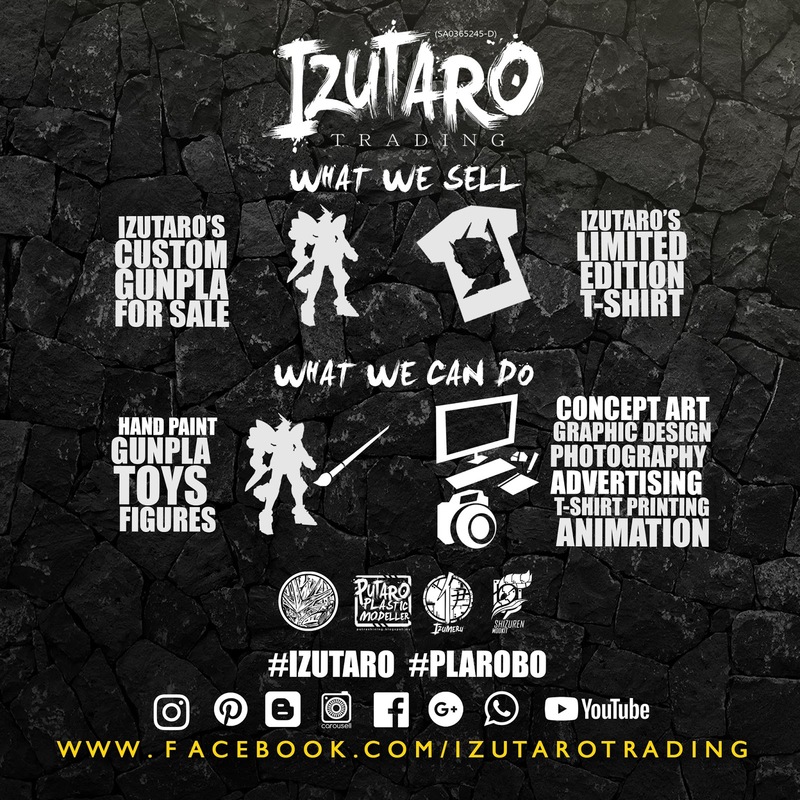 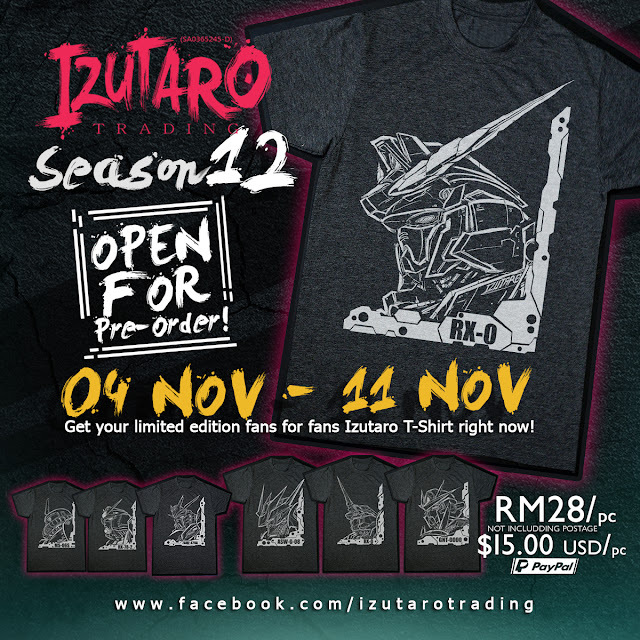 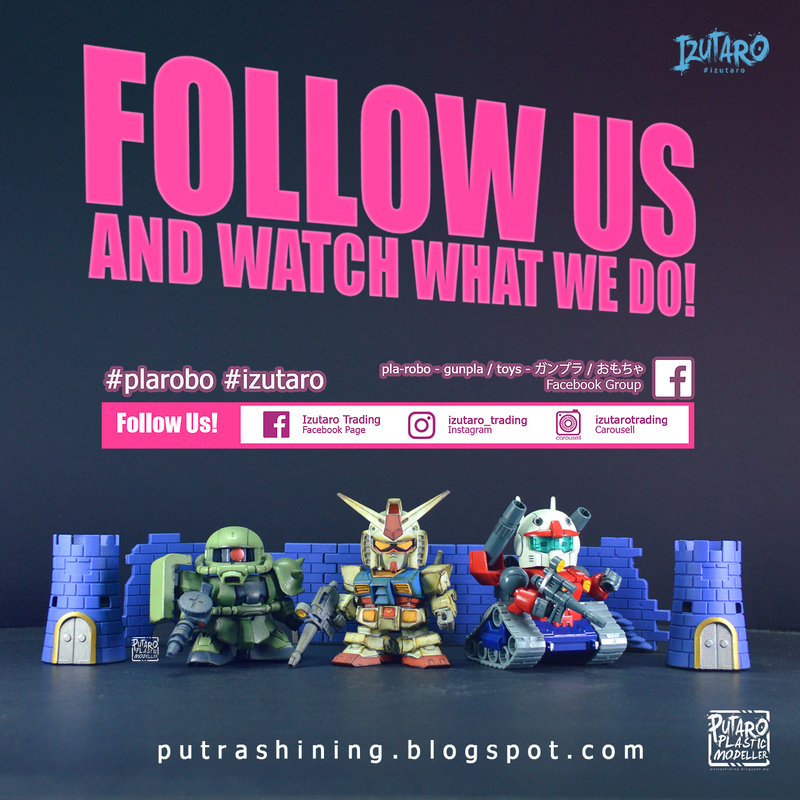 Hi and welcome to Putaro Plastic Modeller everyone! 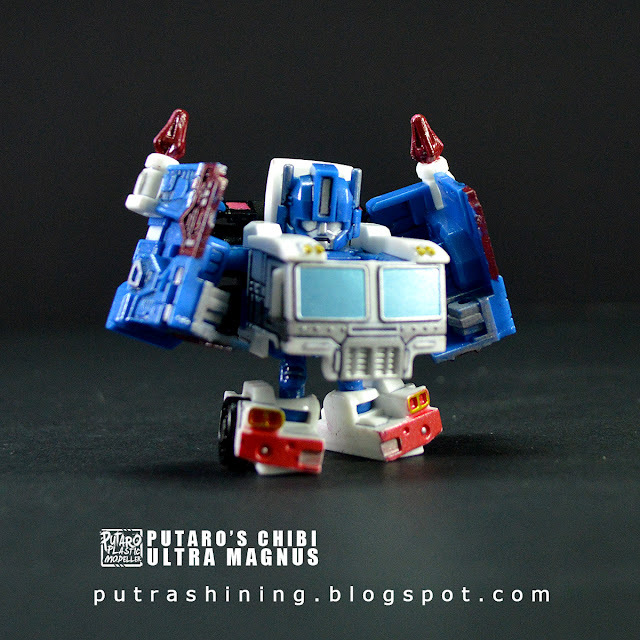 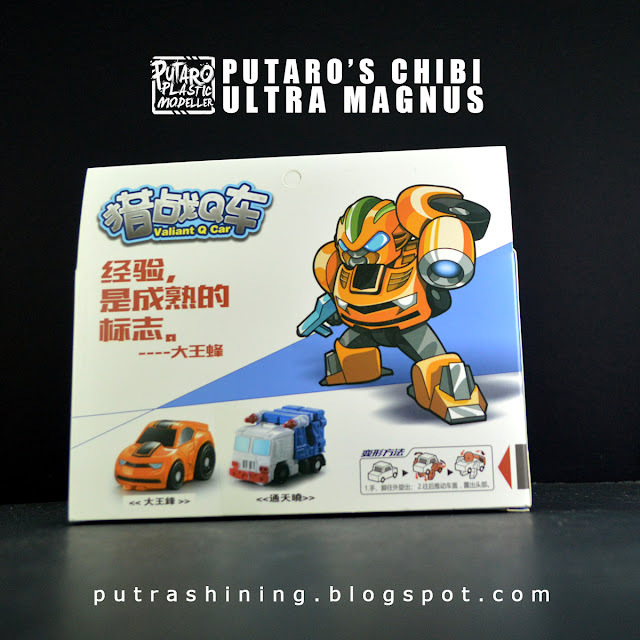 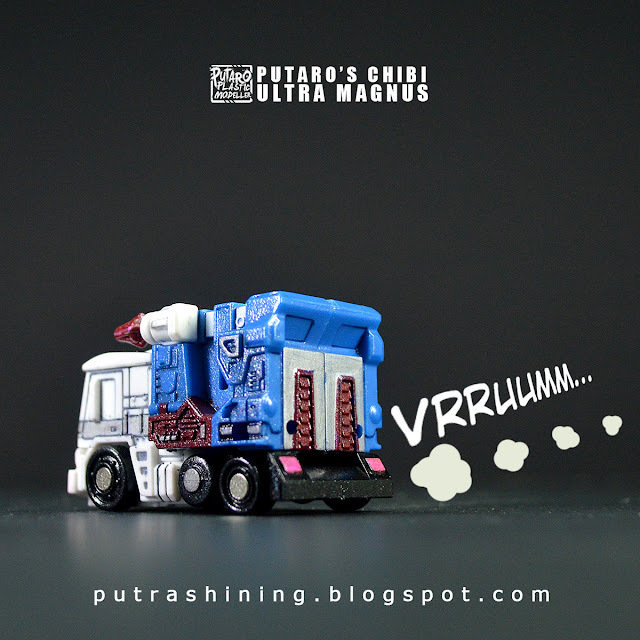 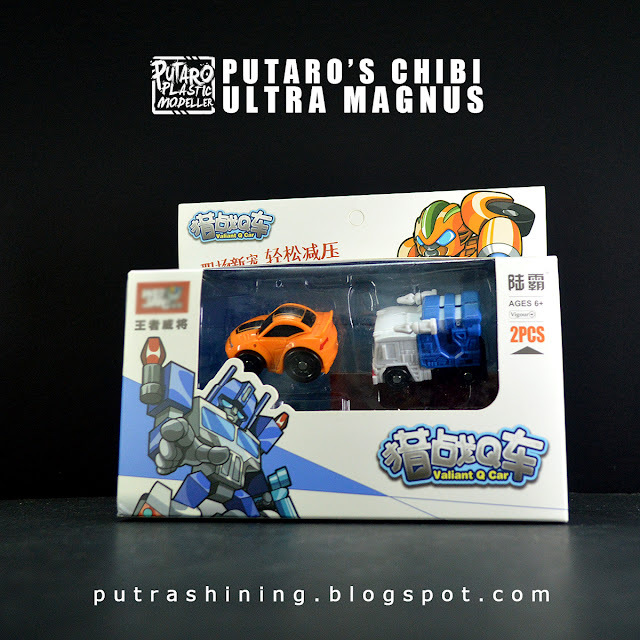 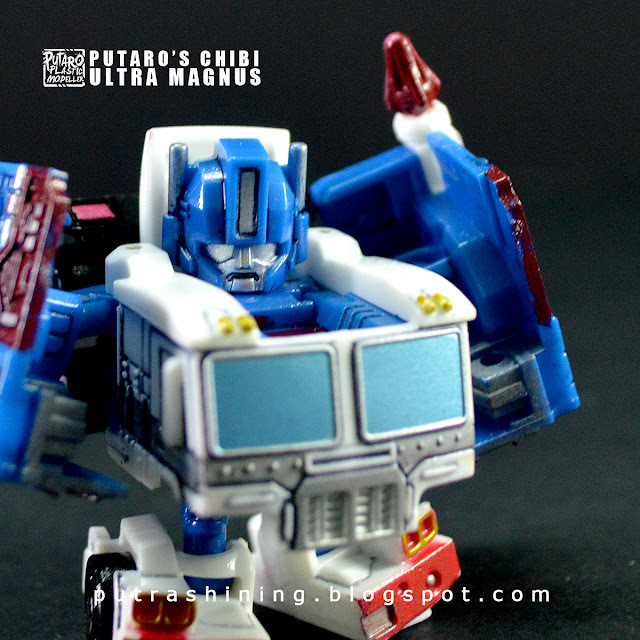 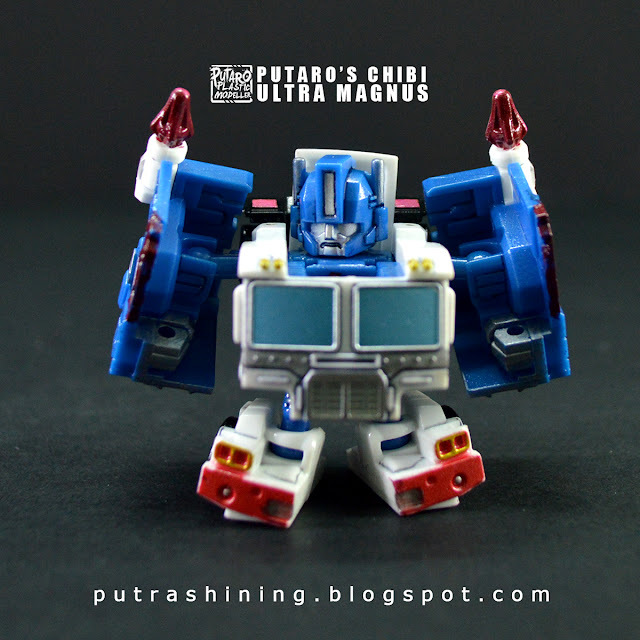 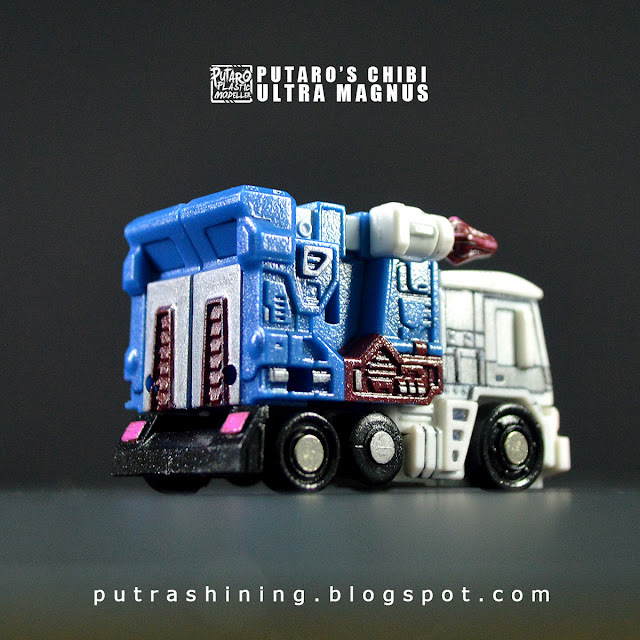 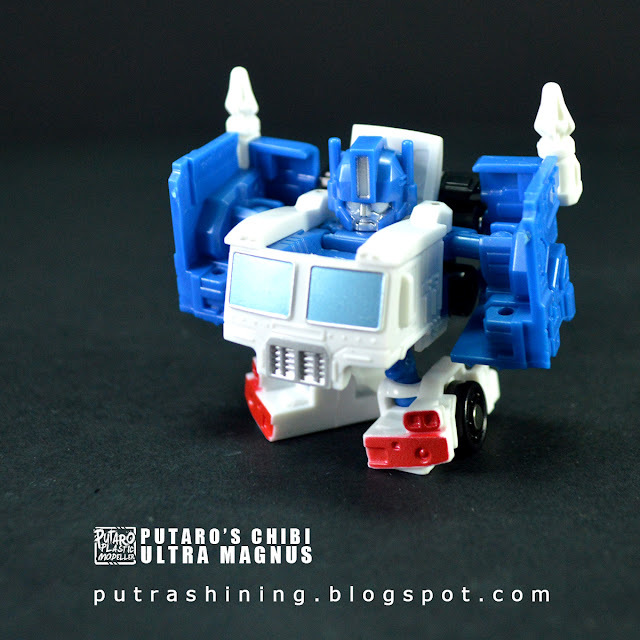 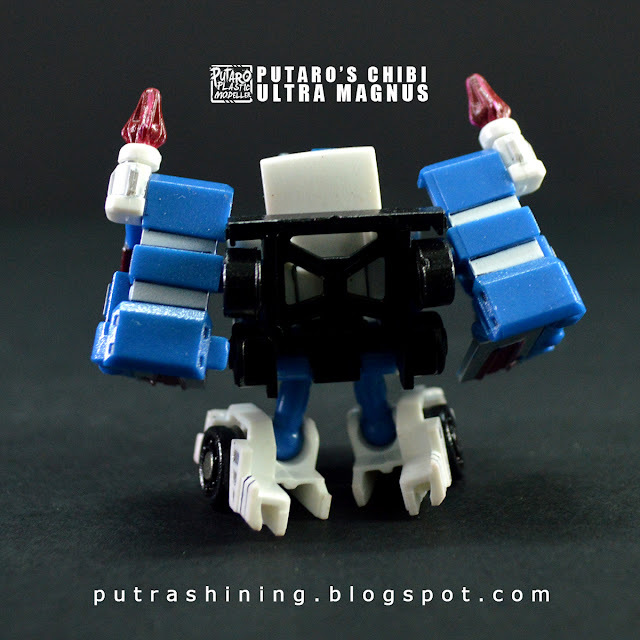 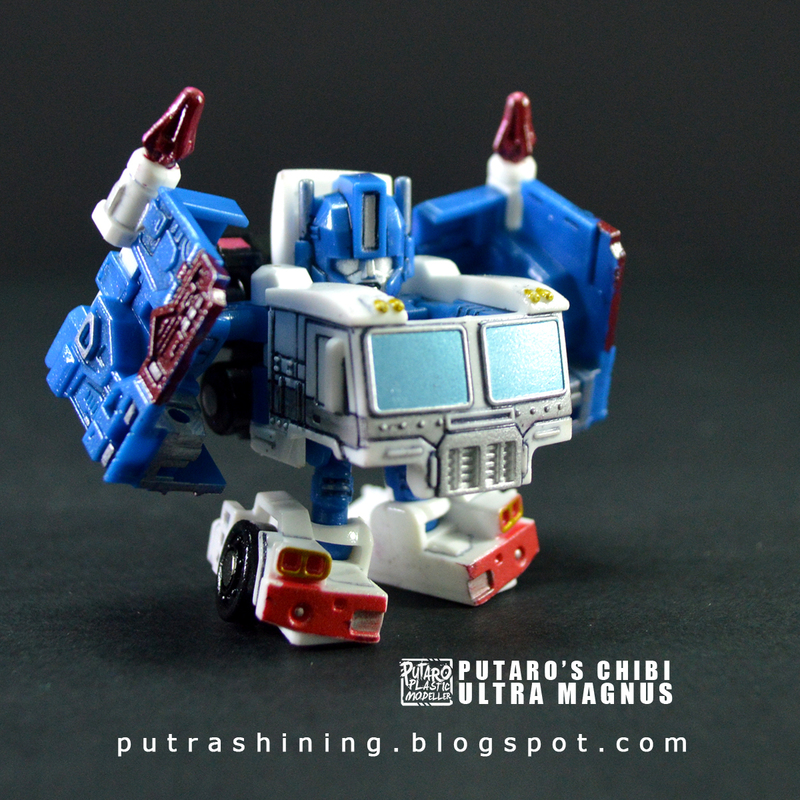 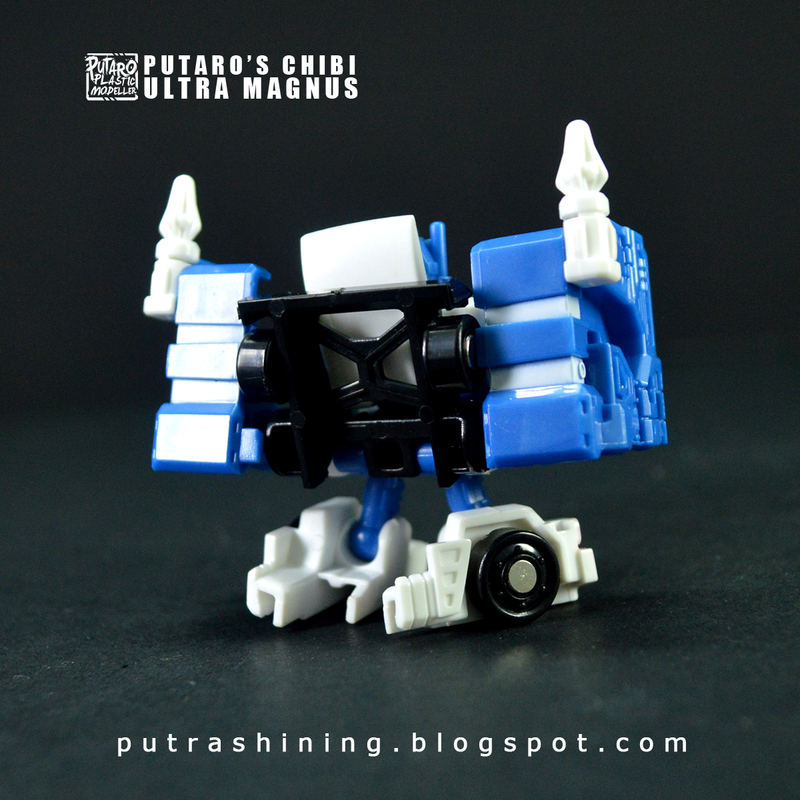 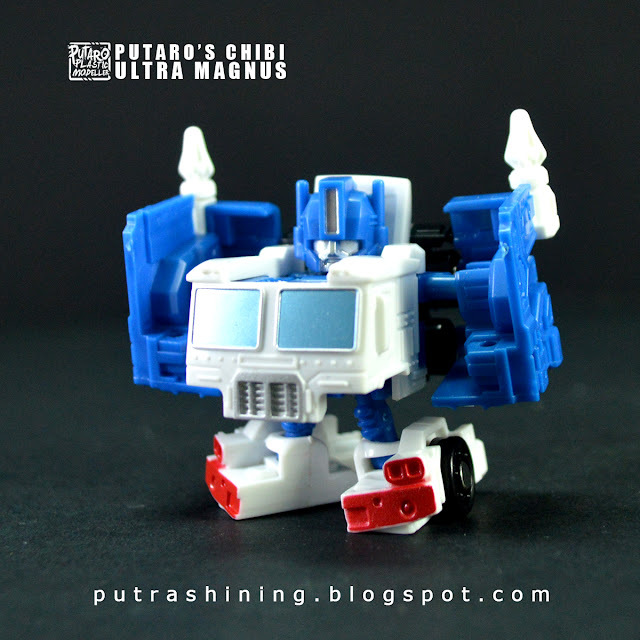 I present to you my cute little chibi Q Ultra Magnus custom painted! 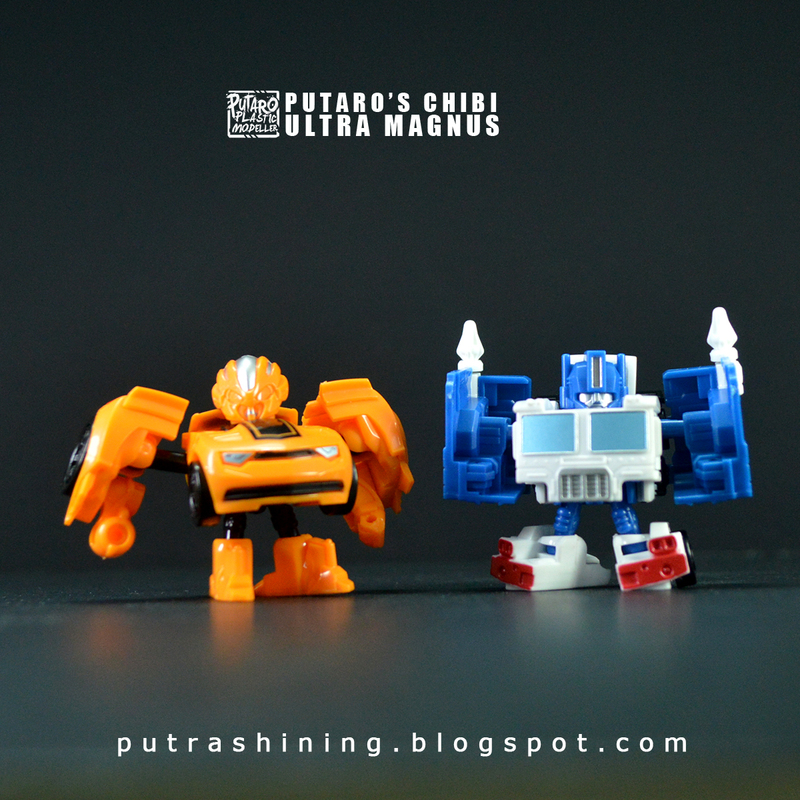 It's actually a very tiny toy that stands around 3cm tall, yup it's tiny! 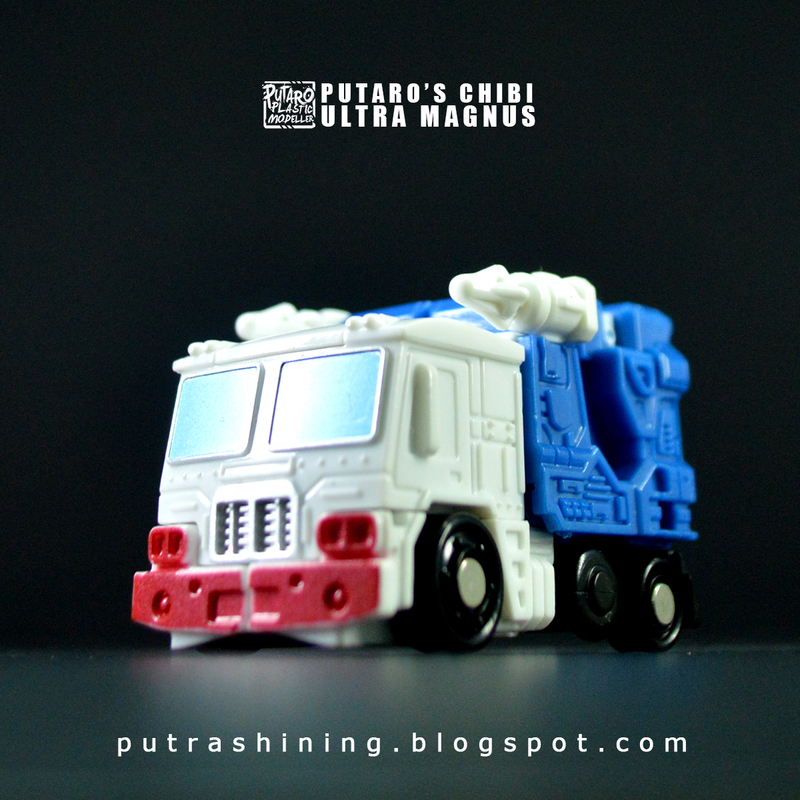 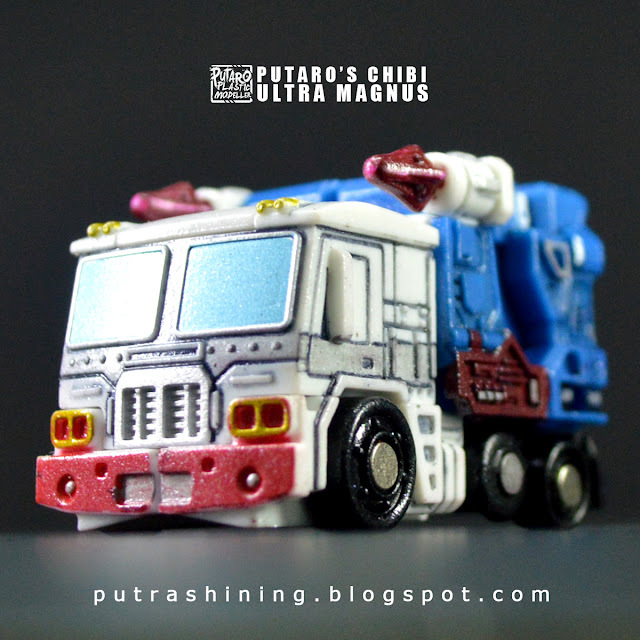 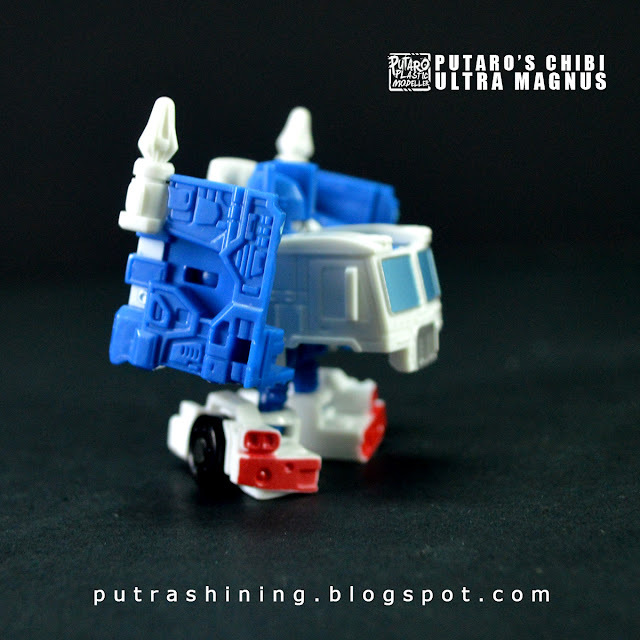 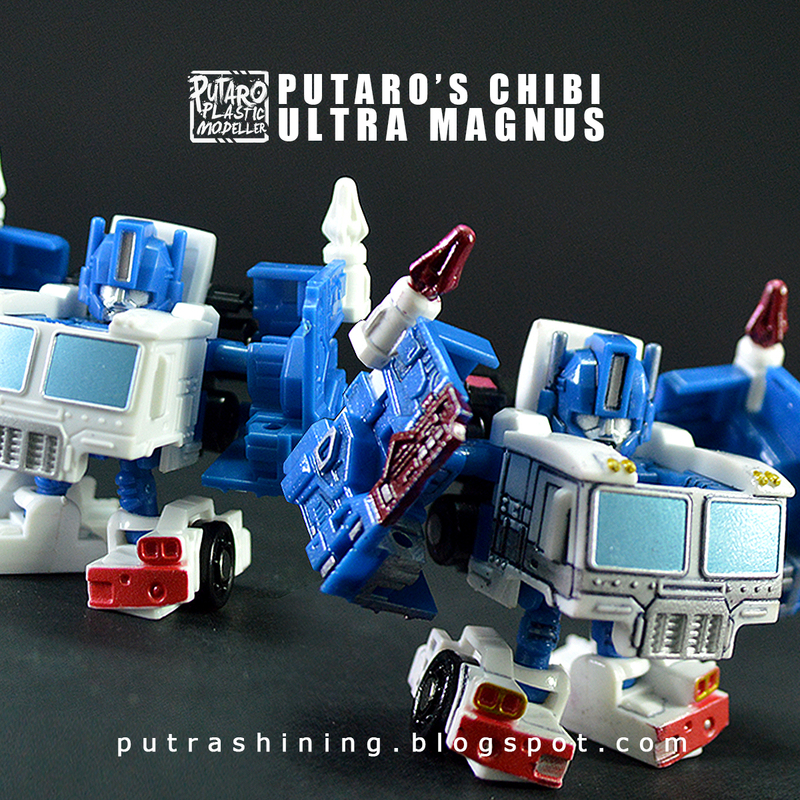 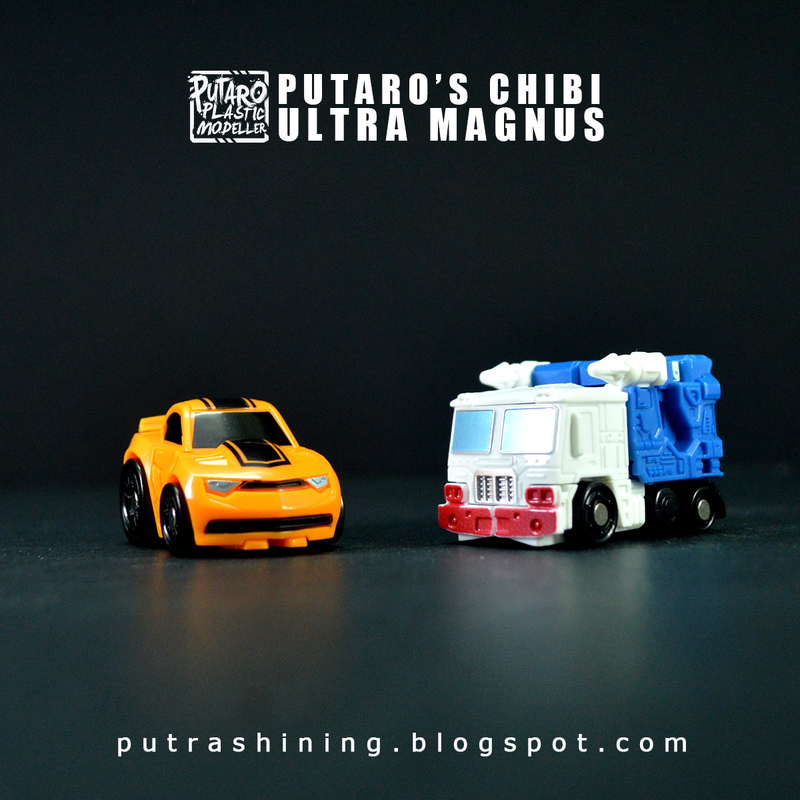 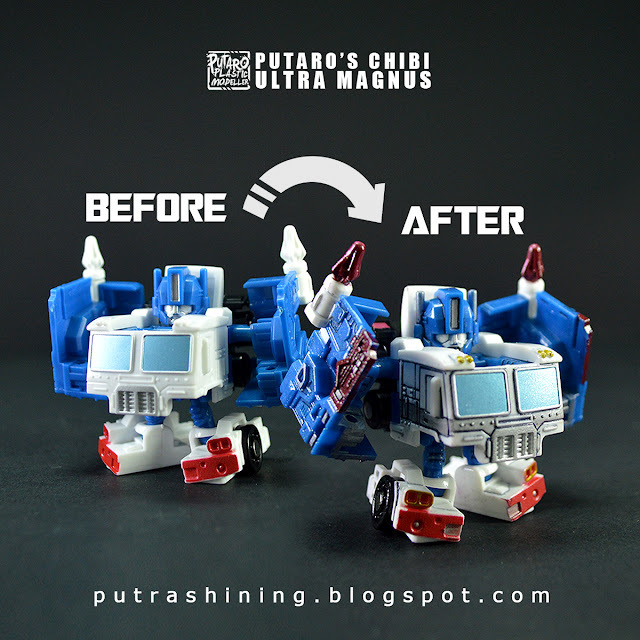 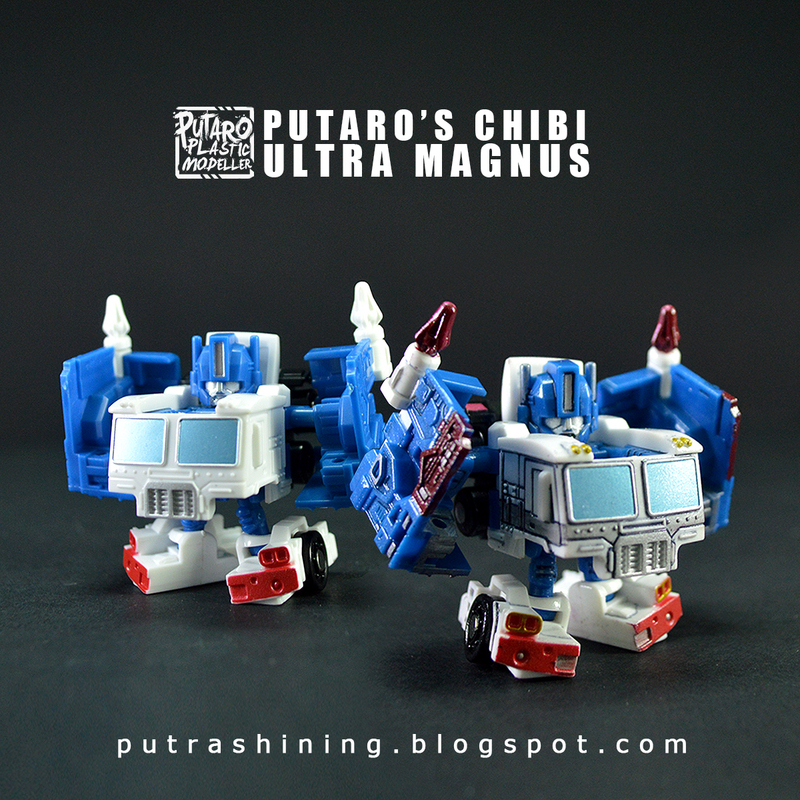 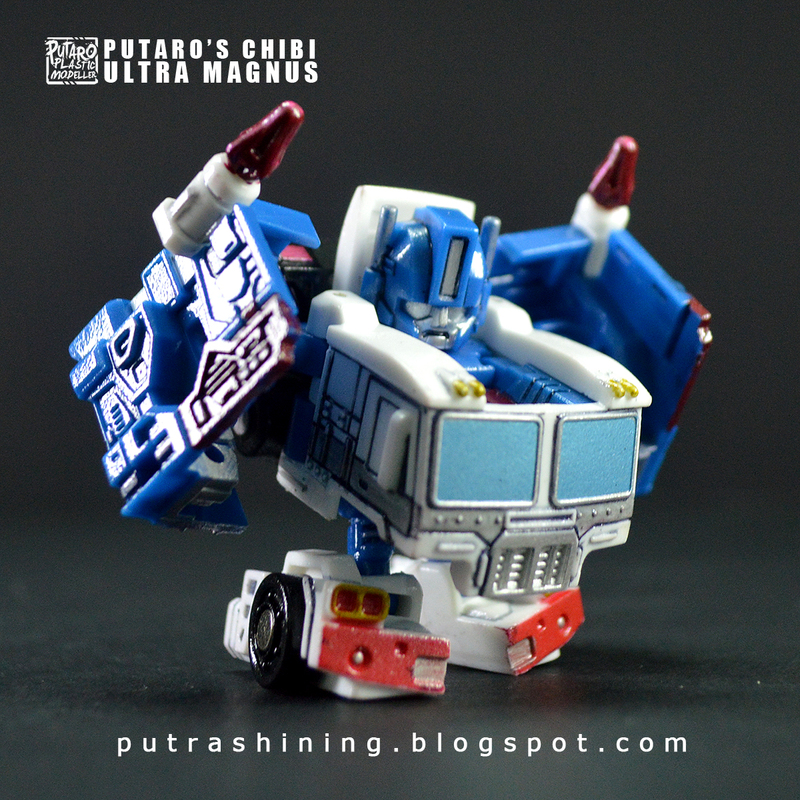 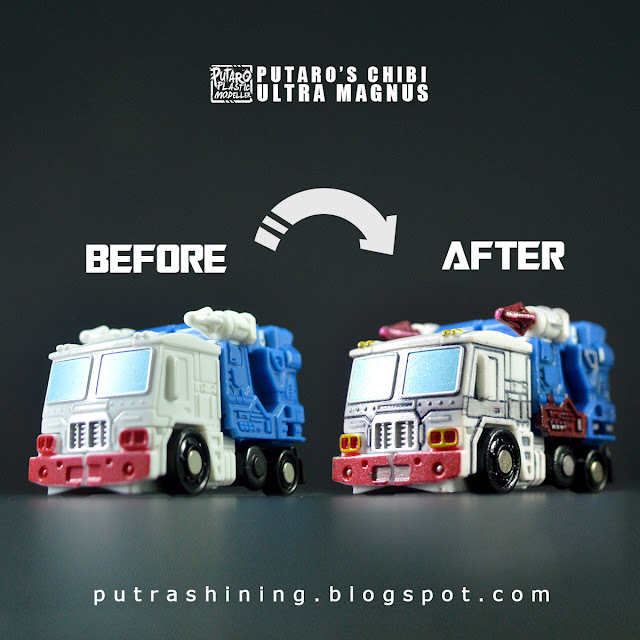 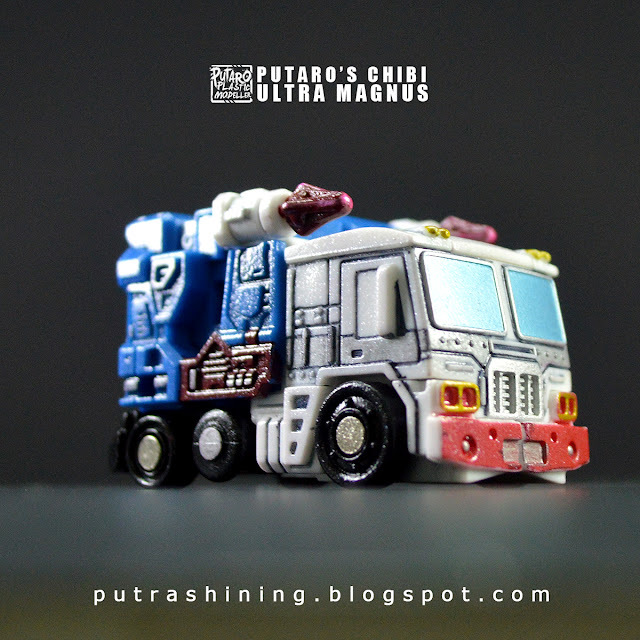 I never know that this Ultra Magnus is existed until one day it's too late. 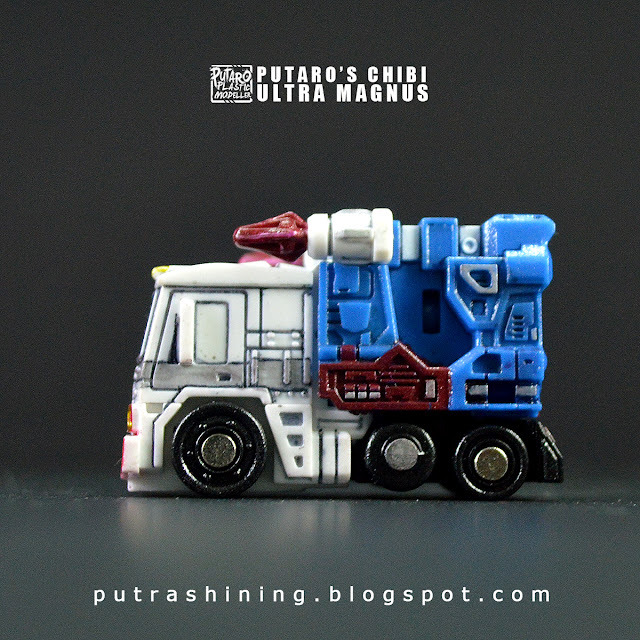 So it's kindda hard to it in my place, so I did found the 3rd party. 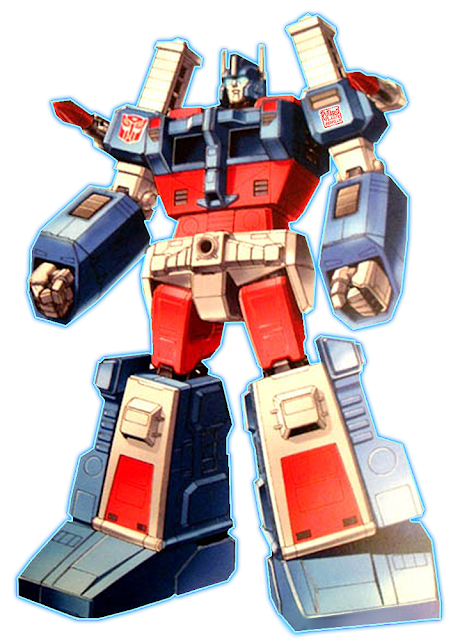 So did painted to to make it as interested as I can and the results are very good for me. The paints that I used are acrylic paint, some art marker, Gundam Panelining Marker, Samurai Metallic Clear for the top coat. 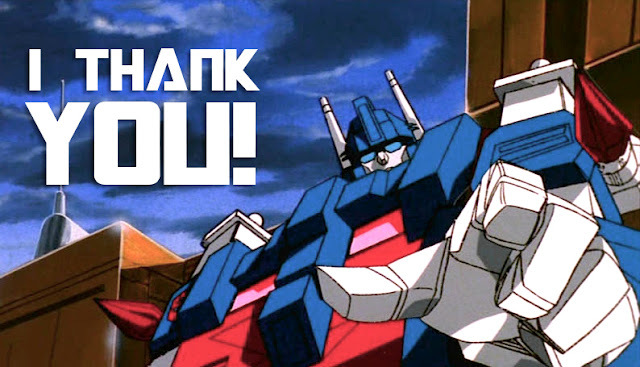 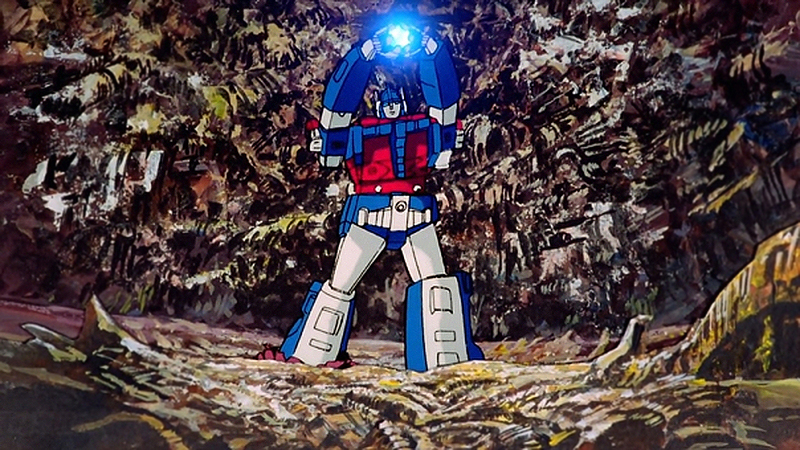 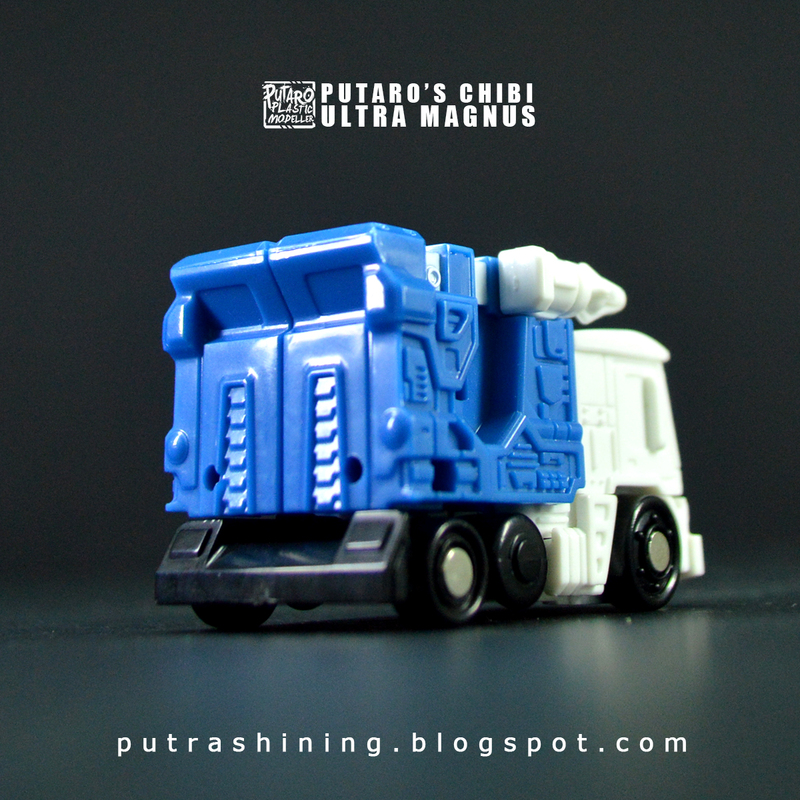 Ultra Magnus is a fictional robot superhero character from the various Transformers storylines in the Transformers robot superhero franchise, generally appearing as a chief lieutenant of Optimus Prime. 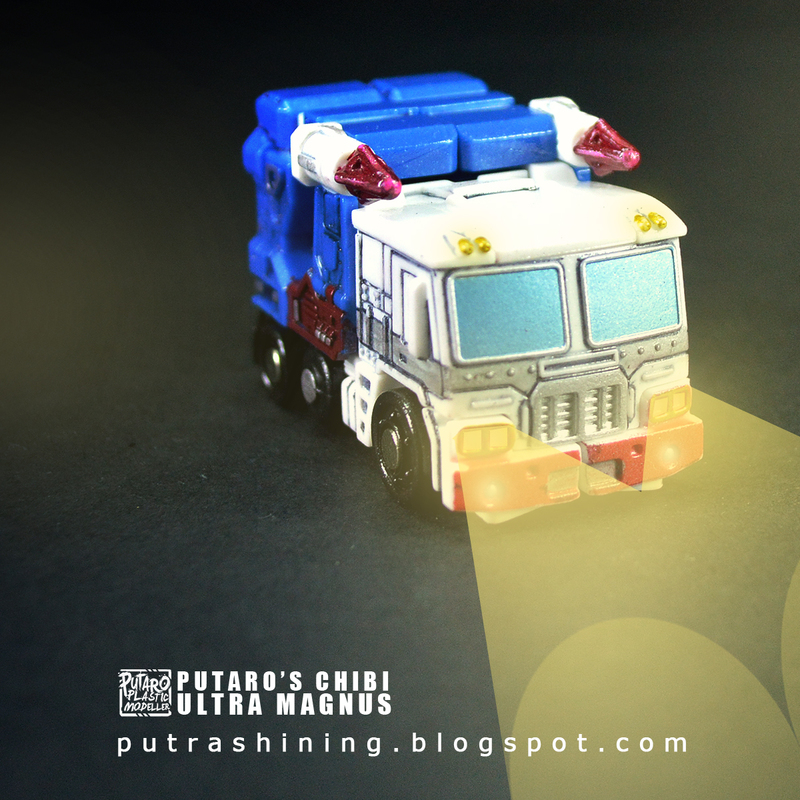 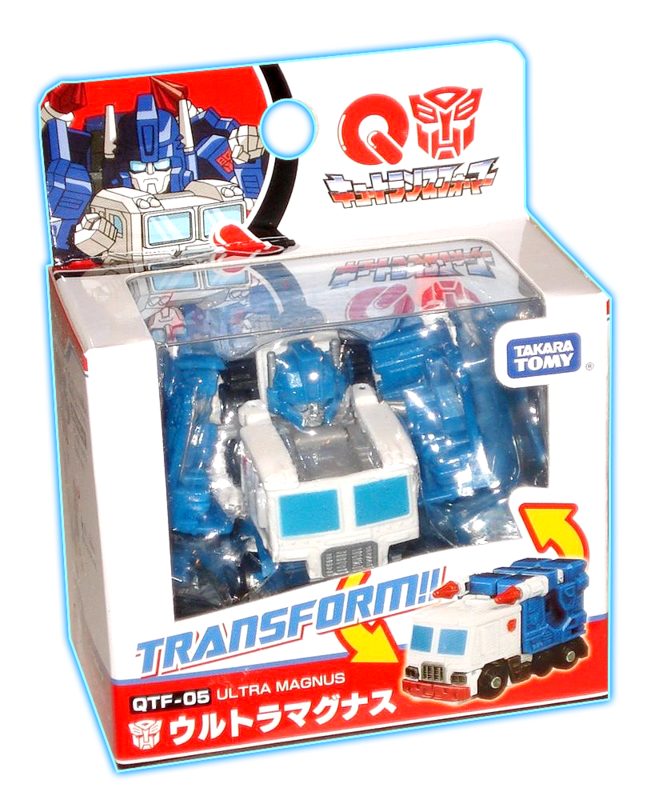 TAKARA TOMY Q Transformers QTF-05 ULTRA MAGNUS.